Cleanup in Saugus Postponed To Nov. 10 – Bike to the Sea, Inc.
A cleanup of the trail scheduled for Saturday, Oct. 27 is postponed until Saturday, Nov. 10 because a storm is expected this weekend. The cleanup will be held from 9 a.m. to noon on Nov. 10 in Saugus near the Lynn line. Volunteers should meet behind O’Briens on Lincoln Street and bring work gloves. It’s also recommended to wear long pants and boots or high-top sneakers. 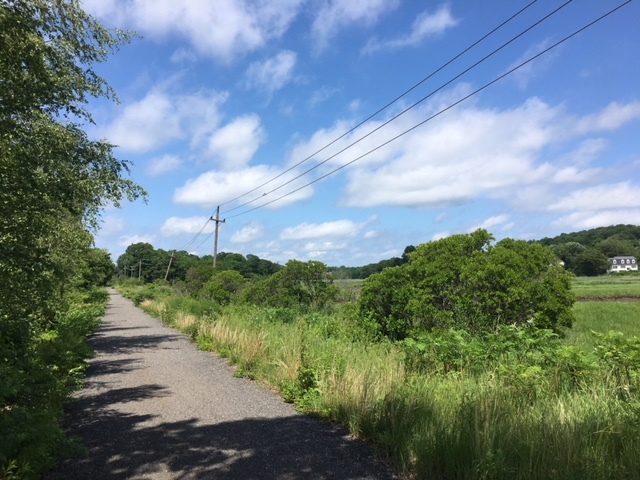 The cleanup will focus on the Saugus River section of the Northern Strand Trail. For more information contact clay@biketothesea.com .